Bangkok has come alive with all the spectaculars happening all around us. 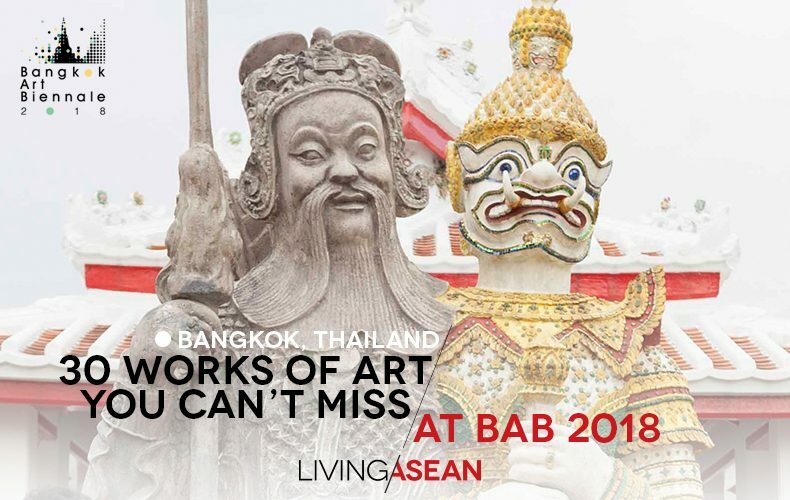 The Bangkok Art Biennale 2018 is on right now with more than 200 works of art on display at 20 venues throughout the city. For the record, 75 artists from 34 countries are exhibiting at this very moment. Naturally, you are spoilt for choice because there are so many good shows to go to. 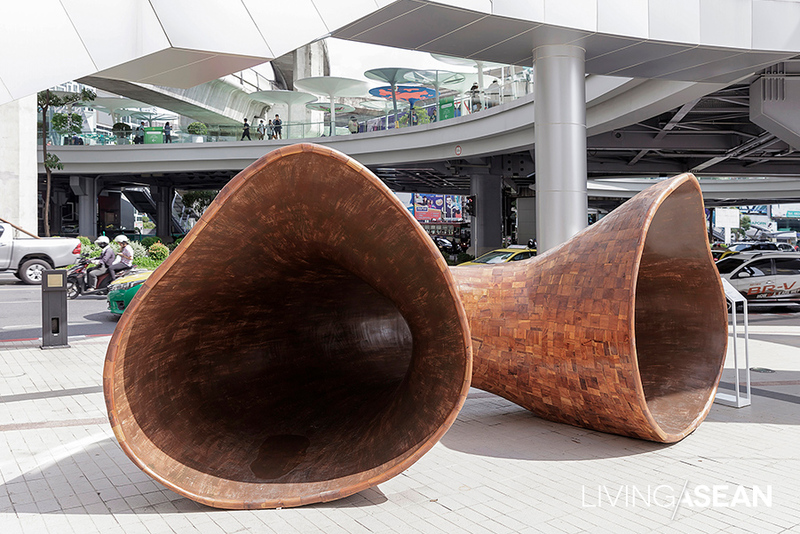 If you’re still not sure where to start, Living ASEAN has put together a checklist of 30 amazing pieces that every art lover must see. Don’t miss out! 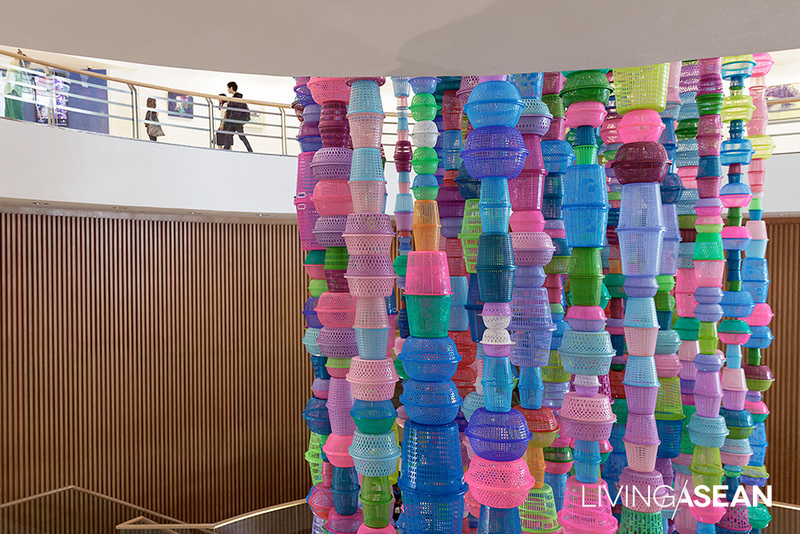 Rising high into the air, a tower of brightly colored baskets is lovingly crafted by South Korean artist Choi Jeong Hwa. The soaring sculpture is currently on show at BACC. His inspiration is encapsulated in his motto, “Your heart is my art.” More works of art by the happy and lively South Korean can be seen at Park Nai Lert Heritage Home and department stores in Siam Square, Chidlom, and Rajaprasong. An installation featuring puppets on strings portrays the human race as the outcome of mutation. 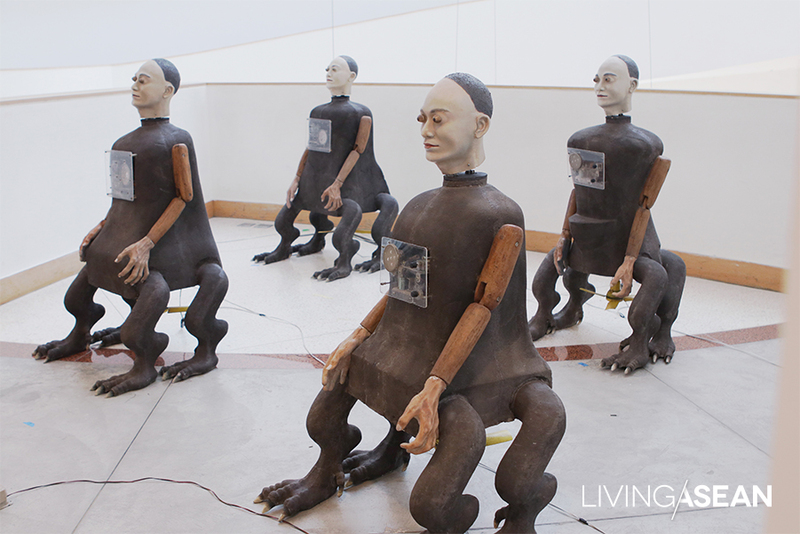 What is perceived as a breed of mechanical humans is the work of Indonesian artist Heri Dono. 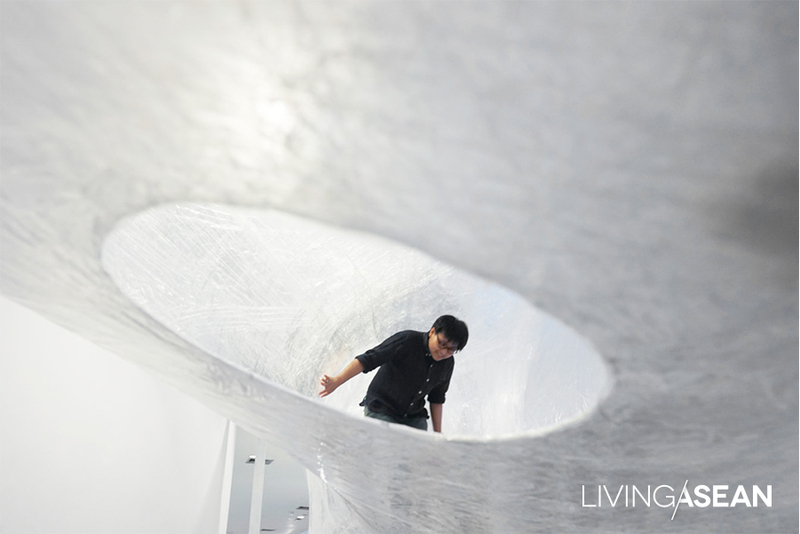 The models controlled by strings are crafted of fiberglass, wood, electronic gadgets, and electric fans. The exhibit gets its inspiration from Indonesia’s shadow puppetry known as Wayang. Find out what message it tries to communicate at BACC. Other shows like it can be seen at the East Asiatique Building and the Peninsula Hotel Bangkok. An installation by a group of German artists is in the form of a tunnel fastened with clear adhesive tapes. The “Numen For Use Design Collective” has exhibited at major art scenes from Frankfurt to Paris to Ohio. In Bangkok, the Tape Tunnel is being staged at BACC. 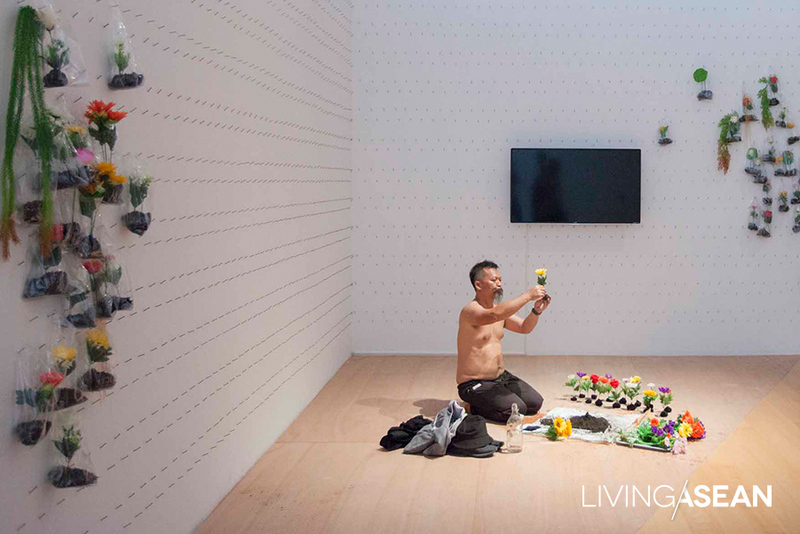 Myanmar artist Lin Htet is live at a durational performance. An endurance art exhibition titled “A Possible Island?” is happening on the 8th Floor of the Bangkok Art and Culture Center (BACC). 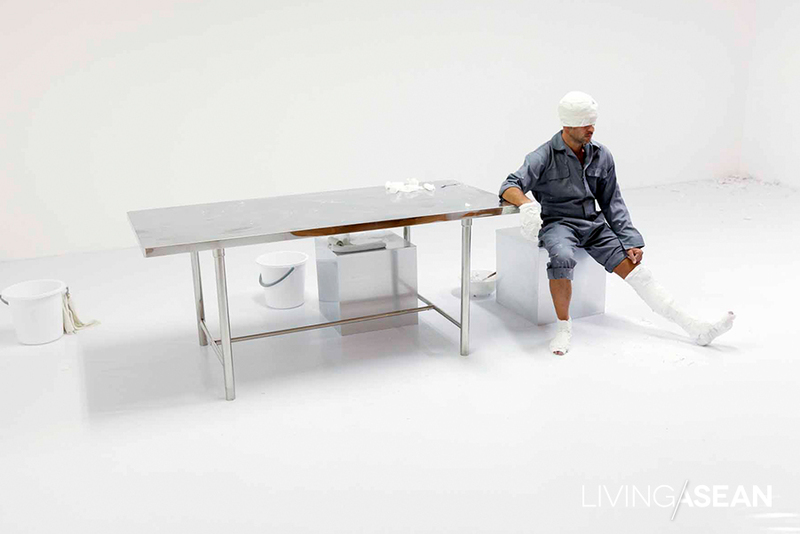 A series of performance art shows are presented by 8 students from Marina Abramović Institute. 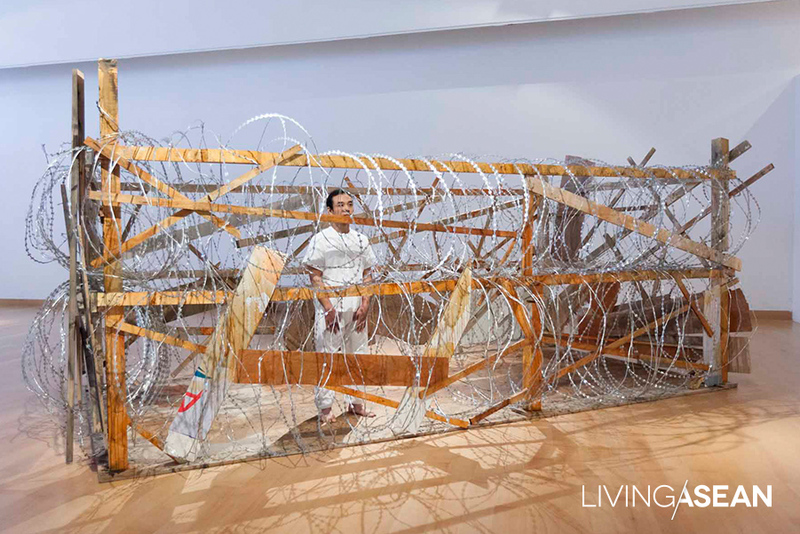 Among them, Myanmar artist Lin Htet puts himself in a barbed wire cage and stands still in protest against human rights abuse and the suffering of a Muslim minority in Myanmar. In an interview with Baan Lae Suan Magazine, the artist says that the stateless Rohingya people are in his thoughts and prayers. While there, take the time to experience “The Method”, a performance and immaterial art show going on now until November 11, 2018 from Tuesday thru Sunday, 12 noon to 20.00 hours. Measuring 5 meters wide, Shelter from the Stars is a large sculpture by Marc Schmitz. The German artist and curator is known for his interest in the openness of space which, he thinks, provides a different kind of experience that cannot be found in the city. Open spaces provide environmental benefits and shelter from confusion and disturbances happening all around us. The exhibit sends a message that people have got to stop hurting one another. Life doesn’t have to be that way. 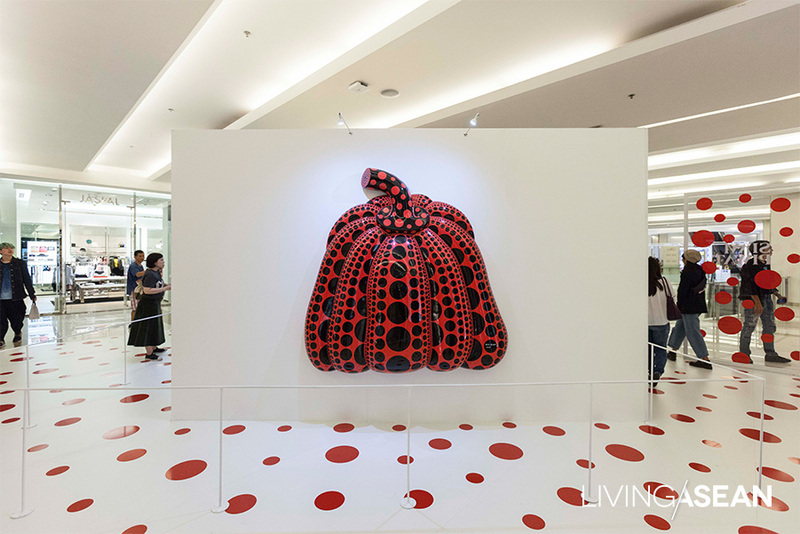 The exhibits listed above are the works of Yayoi Kusama, Japan’s most prominent contemporary artist. 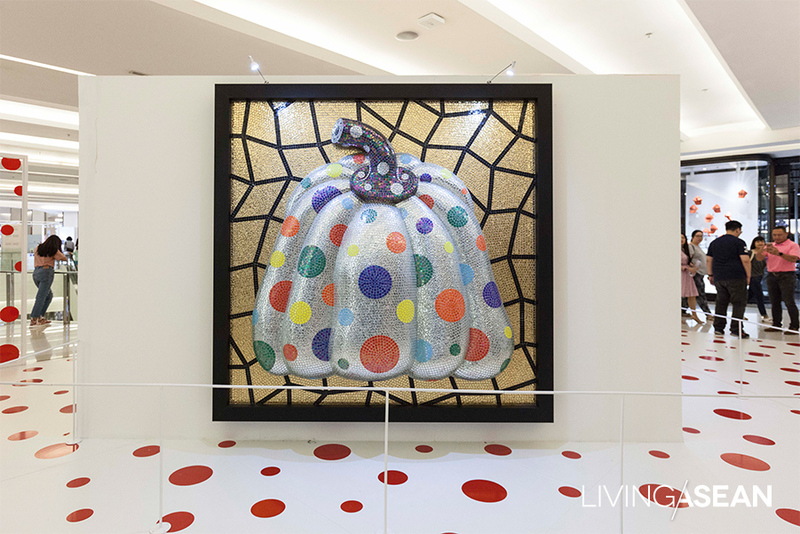 The red pumpkin with black polka dots and the silver fruit with multiple colors are part of a collection titled “I Carry on Living with the Pumpkins”. 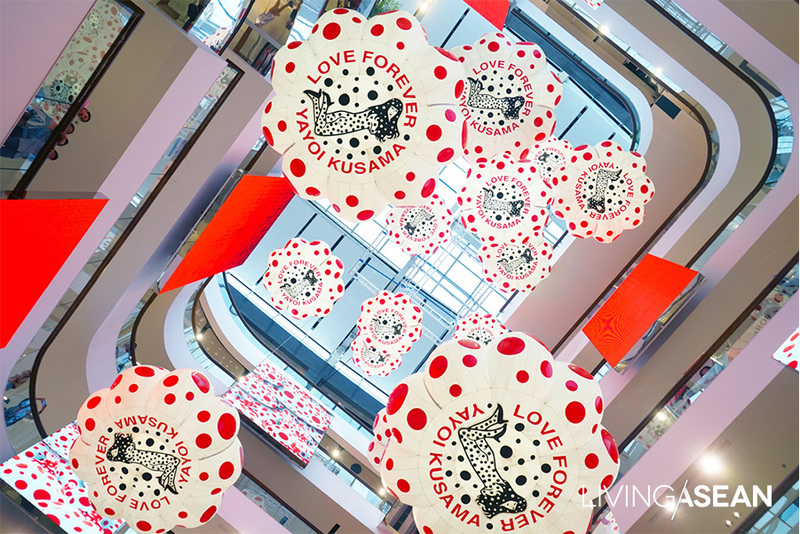 Sometimes called “The Princess of Polka Dots”, Kusama works mainly in sculpture and installation and is widely known for her obsession with endless dots, nets, and mirrored space. The 89-year-old artist continues to create amazing works of art, most notably installations. Wisut Ponnimit is the creator of “Miss Mamuang” and her four-legged friend “Manao”. Ten versions of the fictitious animation characters are debuting at the Bangkok Art Biennale. 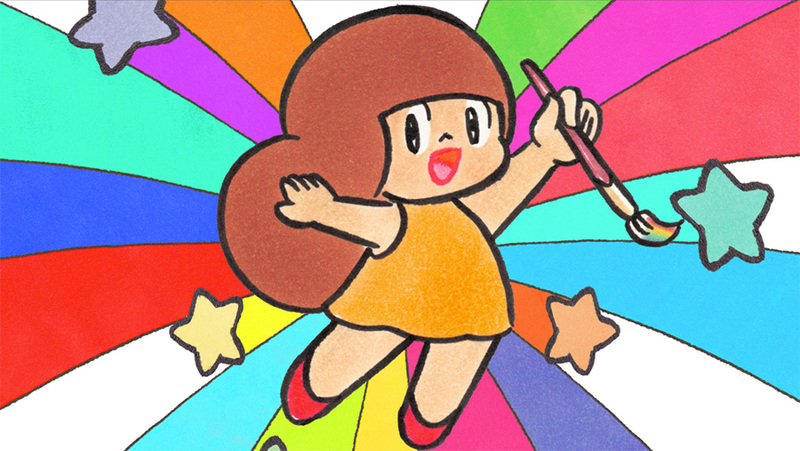 Animation fans, don’t miss out! The Japanese artist is well known for his paintings and sculptures of children and animals, the most famous of whom being a childlike character who appears sweet yet sinister. 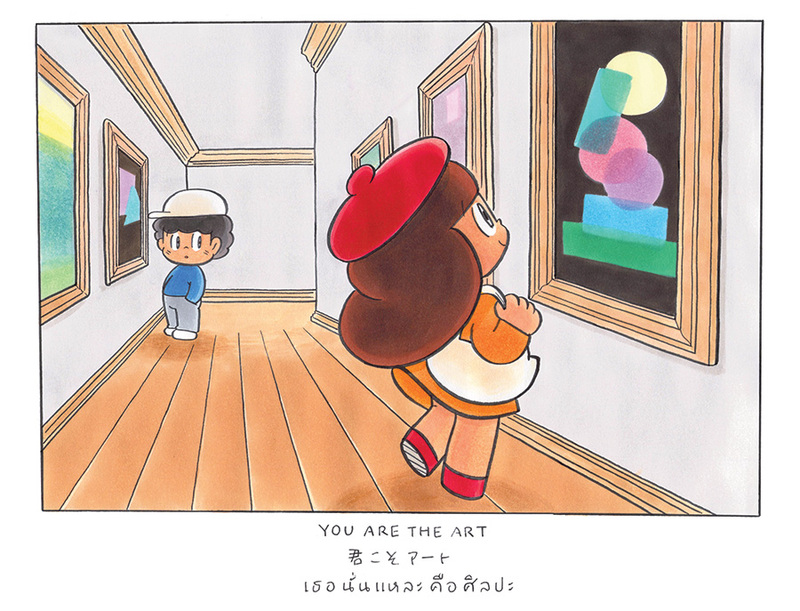 Nara rose to fame during the 1990s Japanese pop art movement. His works of art have been exhibited worldwide. 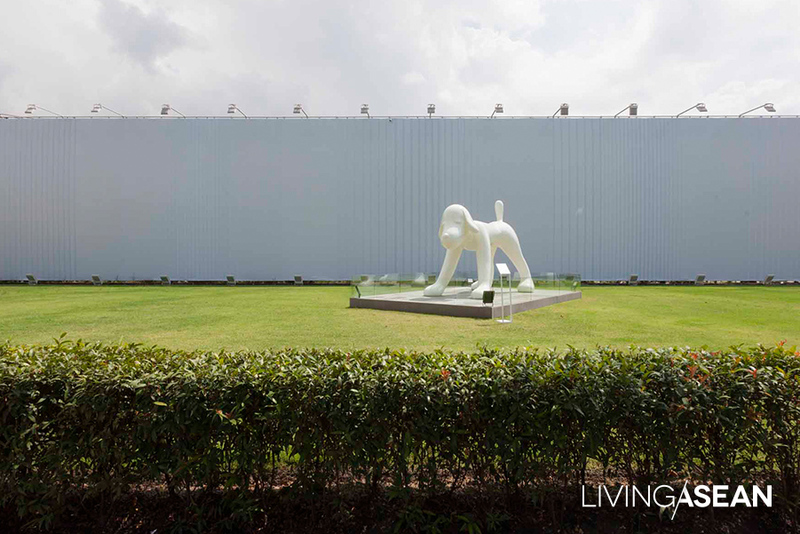 For the Bangkok Art Biennale, Nara is debuting “Your Dog”, a 4.5-meter-tall canine character made of aluminum currently on show at BAB Box @ One Bangkok.